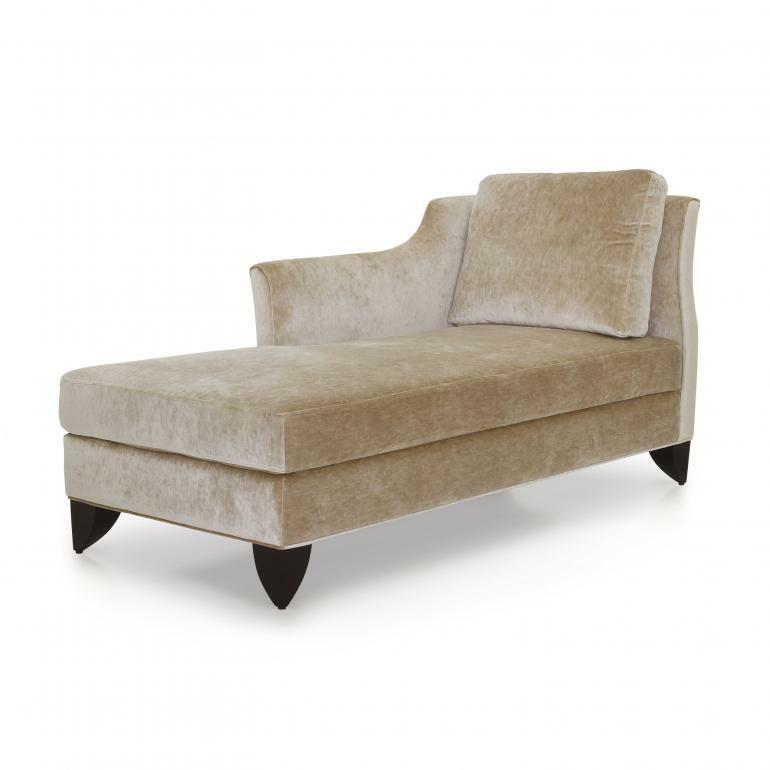 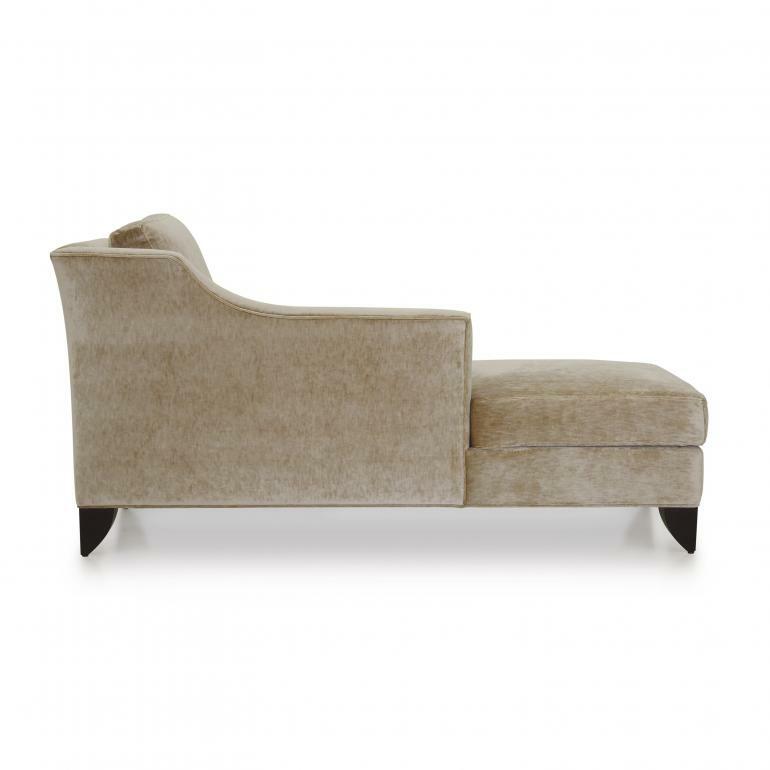 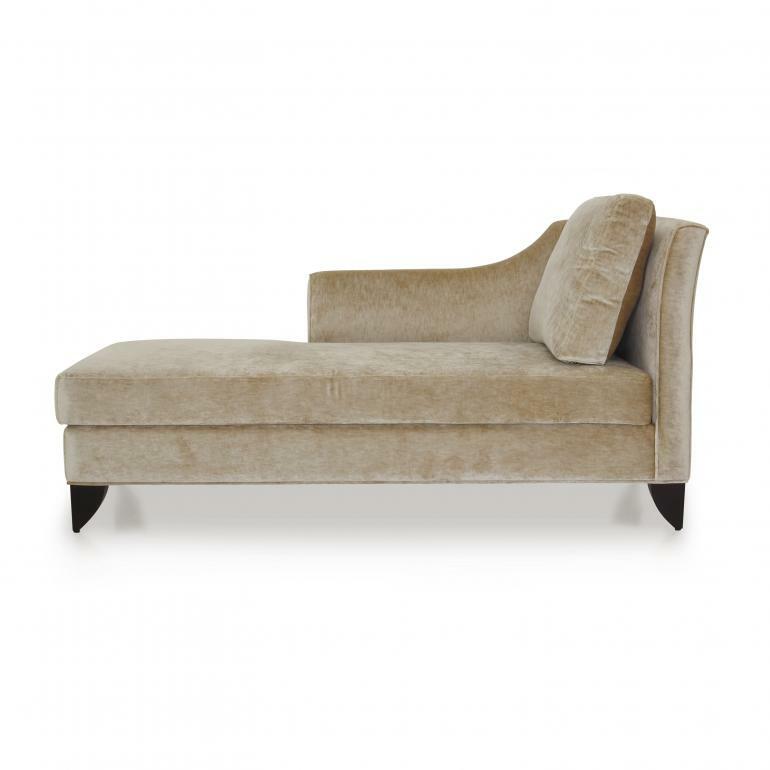 Elegant Contemporary style chaise longue with essential lines, made of beech wood. 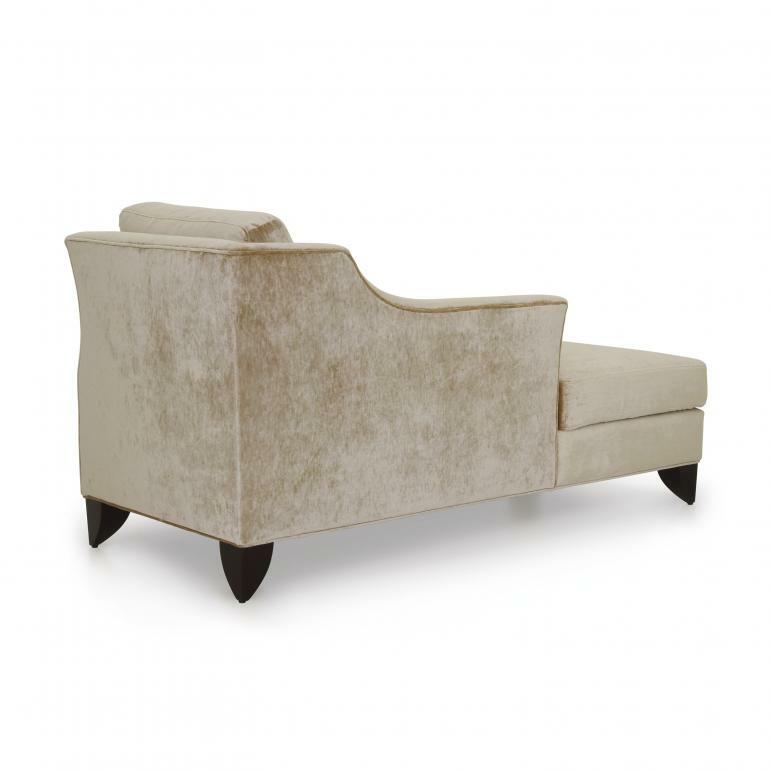 The chaise longue is upholstered with webbing and superior quality foam and has a comfortable and useful decorative cushion. 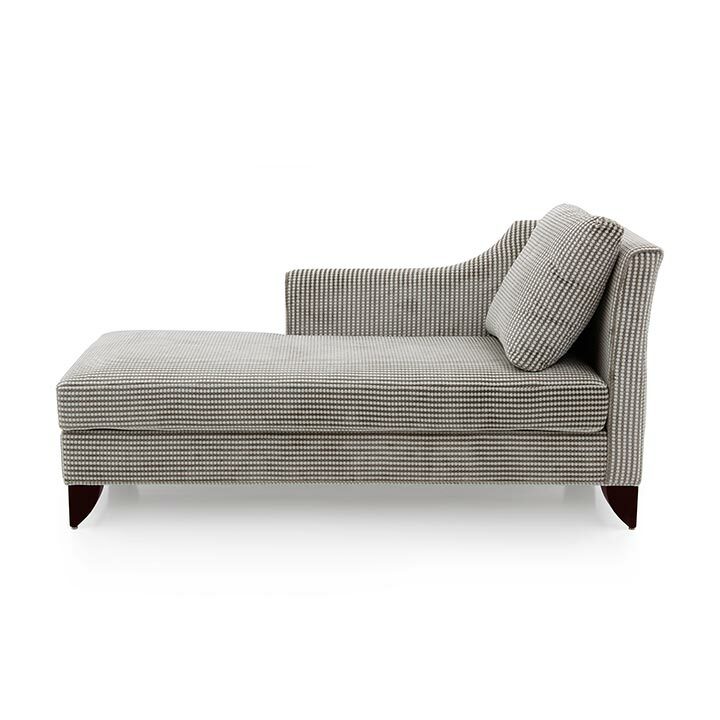 Contrasting coloured piping is particularly suitable for this item.